Dr. Soo Jin Kim is experienced in all aspects of general dentistry with emphasis on aesthetic and preventive care. She is passionate about dentistry and is committed to providing the highest level of dental care for her patients. She aims to provide patients with positive dental experiences in the most gentle, comfortable manner. She believes that every patient has his or her own special dental needs and expectations. She is a careful listener and will explain beforehand what treatment is best for that patient making sure the patient understands every step of the treatment along the way. She received her Doctor of Dental Surgery degree from New York University and was an inductee of Omicron Kappa Upsilon national dental honor society. She completed postgraduate residency training at the Iscahn School of Medicine at Mount Sinai , Queens Hospital Center. ​​​​She obtained Bachelor’s degree from Queens College and Dental Laboratory Technology degree from New York City College of Technology. 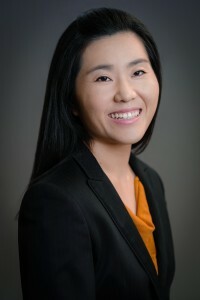 Dr. Kim is an active member of the Academy of General Dentistry.